The AZCentral Sports Awards recognizes and honors the top athletic accomplishments in Arizona High School Sports. This event is hosted by azcentral and will take place June 10, 2018 at ASU Gammage. The show features various awards, contests and a special appearance from celebrity guest, Luis Gonzalez. Eight nominees for each sport have been announced throughout the year. During the show, the nominees will be narrowed to three finalists and then one winner. The overall Boys and Girls Athletes of the Year will also be named. The red carpet will open at 6 p.m. and the awards show begins promptly at 7 p.m. We ask that attendees take their seats by 6:45 p.m.
EVJ is proud to announce that Gabby Leo, EVJ-18N1 and Mountain Pointe High School Senior along with Mary Shroll, EVJ-17N1 and Tempe Prep Academy Junior, are two of the eight players nominated for the award. Gabby and Mary have had outstanding club and prep careers and this is a true honor to be recognized as two of the best volleyball players in the state of Arizona. Gabby, a 2018 graduate, is preparing to head off to college in mid June. She accepted a full-ride athletic scholarship to play indoor and beach volleyball at the University of the Pacific in Northern California. UoP competes in the West Coast Conference as an NCAA Division I Program. Gabby's first match as a student-athlete will be right here at home as the Tigers travel to ASU to compete in the first tournament of the year on August 24-25. Pacific will be joined by the host Arizona State, Kansas and New Mexico State. Mary, a 2019 graduate, is preparing to head off to USAV Girls Junior Nationals at the end of June. Her 17N1 squad is competing in the USAV Open division and is one of the top 36 teams in the country. Mary has accepted a full-ride athletic scholarship to play indoor volleyball at Loyola Marymount University in Southern CA. Mary will be playing alongside current teammate Piper Manross at LMU, which is in the same conference (West Coast Conference, NCAA Div I) as Pacific. Gabby and Mary will be meeting on the court as foes in the near future. 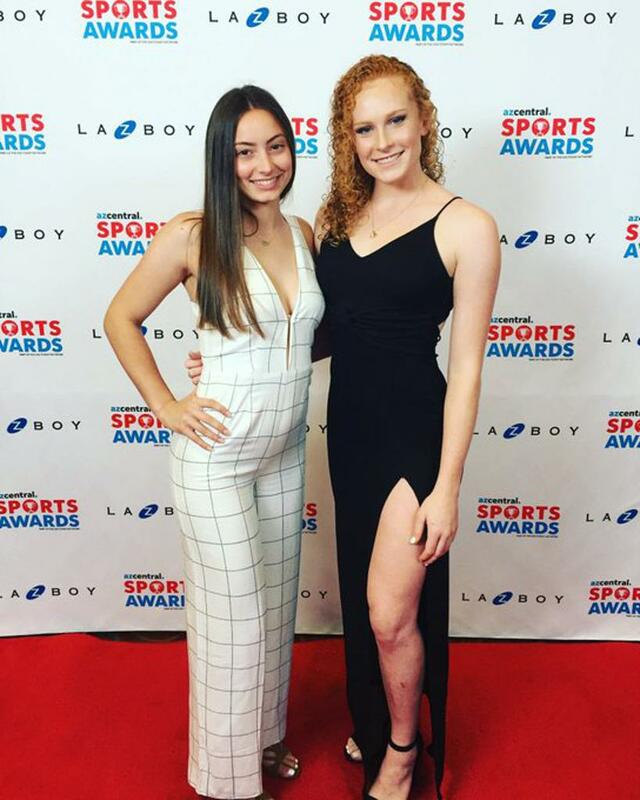 The EVJ Staff sends their congratulations and best wishes to both Gabby Leo and Mary Shroll and their families for their amazing accomplishments and success.